Any 8" or 12" cold sub can be toasted on the Panini grill! Pepper Ham, Hard Salami, Pepperoni, Capicola, Provolone and hot peppers, Our Favorite! Great with oil, vinegar & mayonnaise. Cold Subs are served on seeded Italian rolls or wraps with lettuce, tomato, onions, oil, vinegar and our Special Seasonings. Mayonnaise if desired. 1/2 lb. of porketta, provolone cheese and roasted red peppers. 1/2 lb. of fried Dietz & Watson bologna with fried onions. Sandwiches are served on Jewish rye, white or wheat with lettuce, tomato, onions, mayonnaise and our Special Seasonings. All Prices do Not include PA sales tax. The Original Philadelphia Subs in Luzerne County! Kitchen closes at 9:30 pm for HOT items. 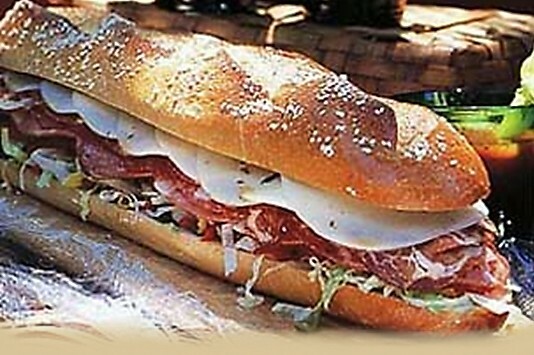 Cold Subs available on Party Trays!